Gionee on Monday launched the Marathon M5 Plus smartphone at an event held in Dongguan, China. The company said the Marathon M5 Plus is an upgrade over the Marathon M5, which it launched in June 2015. The Gionee Marathon M5 Plus has been priced at CNY 2,499 (roughly Rs. 24,990) and will be available in China from December 25, 2015. The company also announced a price cut in China for the M5 smartphone. The M5 has now been priced at CNY 1,999 (roughly Rs. 19,990) in China. India pricing and availability have not yet been revealed. Readers should note that this product has been launched in China and its India variant may have slightly different hardware and software specifications, according to Gionee. Gionee claims that it has worked on reducing power consumption on the software level as well. The smartphone will alert users about apps that drain the smartphone's battery. 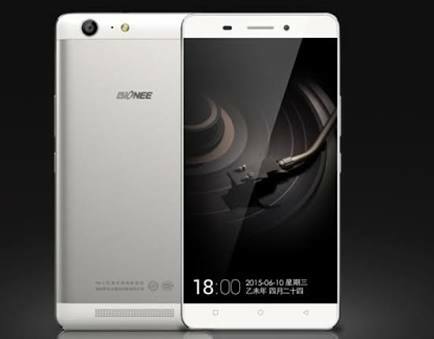 The Marathon M5 Plus ships with Gionee's Amigo 3.1 OS based on Android 5.1 Lollipop. It features a 6-inch (1080x1920 pixel) Amoled display with a pixel density of 368ppi. It is powered by an unspecified octa-core CPU, coupled with 3GB of RAM. The Marathon M5 Plus comes with 64GB of built-in storage that's expandable via microSD card (up to 128GB). Shivashish is a Gadgets fan ,a passionate blogger and also the founder of TechCruze. Currently he is pursuing B.tech in CSE . He is extremely vivacious by nature. His interest in creating websites and writing blogs is from class 9 when he started studying HTML coding. Being a tech lover , he is very passionate about the cars . He is addicted to his laptop but when he is not available at his laptop he might be busy somewhere playing STICk CRiCkeT.